← Hakan Hardenberger With Bob Malone And Toshiaki Kameyama. 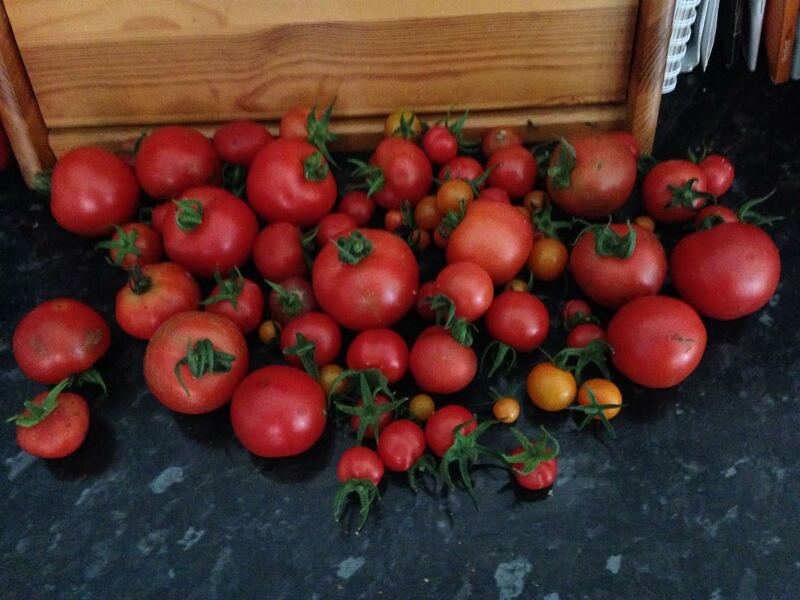 Urban Farm 2015 – 21st August – Good Tomato Pickings Today! This entry was posted in The 'Urban Farm' and tagged Alicante, beefsteak, delight, farm, gardeners', grow, growing, marzano, moneymaker, own, san, sungold, tomato, tomatoes, urban, your. Bookmark the permalink.